FSS's industrial storage cabinets are easily assembled and can be used for a variety of storage applications such as office supplies, mailroom materials, sports equipment and maintenance items. With added accessories such as coat rod kits, caster bases, and added shelves, our industrial storage cabinets can be customized to suit any needs you may have. A 3-point locking mechanism is standard on all storage cabinets to keep all your items safe & secure. 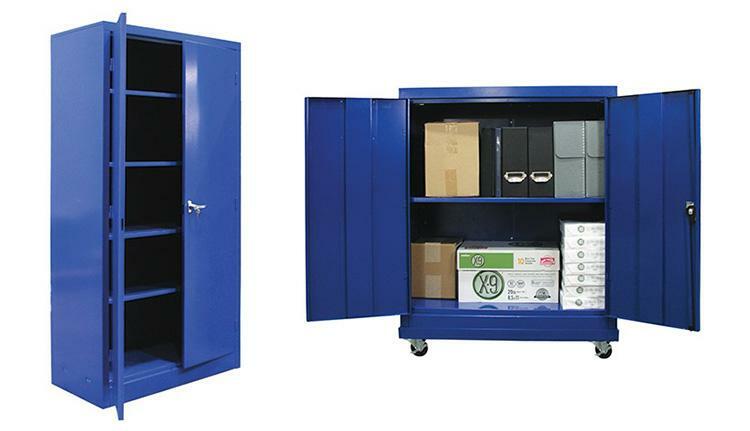 Our industrial storage cabinets are perfect for any storage or office environment. Available in many different colors – with clean lines and appealing design are a compliment to their versatility in any setting. With a furniture-quality finish and durable construction, FSS industrial storage cabinets are built to last and look great through years of use.